Big data and digital networks are reshaping the world of philanthropy. A global project called Missing Maps allows anyone to help save the lives of millions affected by disasters. All you need is time, a computer and the internet. The Missing Maps project was born of the fallout from a real-life catastrophic seismic event that occurred in Haiti in 2010. Volunteers from the Humanitarian OpenStreetMap team armed with the sparse maps faced a desperate challenge: to find victims scattered across the poorly mapped island before it was too late. Doctors and humanitarian responders spent precious time wandering through confusing roads within unrecognizable neighborhoods destroyed by a massive earthquake. 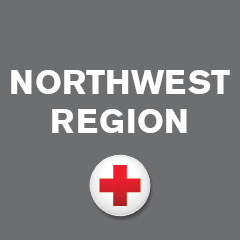 “Many of the world’s population centers are not mapped in sufficient detail”, said Colin Peterson, Corporate Partnership Officer for the American Red Cross. “If you’re lucky you might have digital maps that show major trunk roads and capital cities but it doesn’t get you down to the level of detail required to show you how many alleyways, city blocks and cross sections a city has.” Those details are critical for humanitarian organizations trying to deliver help to vulnerable regions. The success of the Missing Maps project amazed even its own creators. In less than two years, powered by the help of 13,000 digital volunteers, the local data in OpenStreetMap took on a more concrete form. Sierra Leone, Liberia, Guinea, Philippines and even some areas in the US saw new roads and missing towns and villages added to their maps. More than 22 million edits have been made to date, and locales populated by over 20.5 million people have been mapped. The goal is now to stretch this coverage to span regions inhabited by 200 million people, to be mapped by 2021. After remote mappers trace the outlines of buildings or roads somewhere in South Africa, a team of volunteers on the ground will verify the map data and localize it. In the final stage, the new mapping data is handed back to humanitarian organizations responsible for the final validation. Jubal Harpster, Senior Program Manager at Microsoft, was involved with online mapping before joining the Missing Maps project. Now he brings that enthusiasm to thousands of Microsoft employees in the form of Missing Maps mapathons. “From the success we saw with the Missing Maps micro-volunteering events throughout October at Microsoft, we think there’s a great opportunity for our employees and the humanitarian partners involved in this project to impact the initiative’s success,” Jubal says. Founders of the Missing Maps project compare OpenStreetMap and the work of the Missing Maps project to Wikipedia of maps, where edits belong not to big companies but to thousands and millions of individuals all over the world.